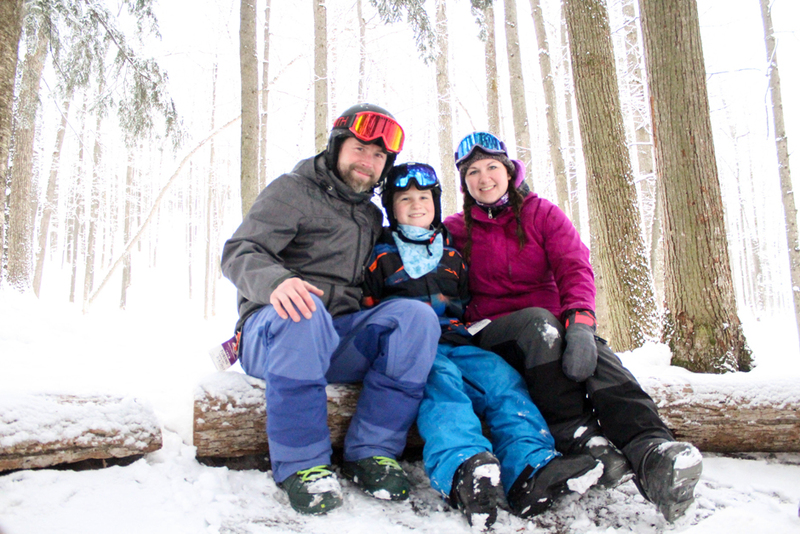 Experience springtime at Schuss Mountain with plenty of snow, sun and family fun! Family time is valuable, but it doesn't have to be expensive. Make memories that will last a lifetime this March at Schuss Mountain. With lodging rates as low as $99/night, skiing (and staying!) at Schuss Mountain is just a better value. One of Michigan’s most popular winter events for over 40 years. Watch the thrill of victory and the agony of defeat as skiers and riders attempt to cross an icy 60′ pond. Some take it to another level with crazy costumes. 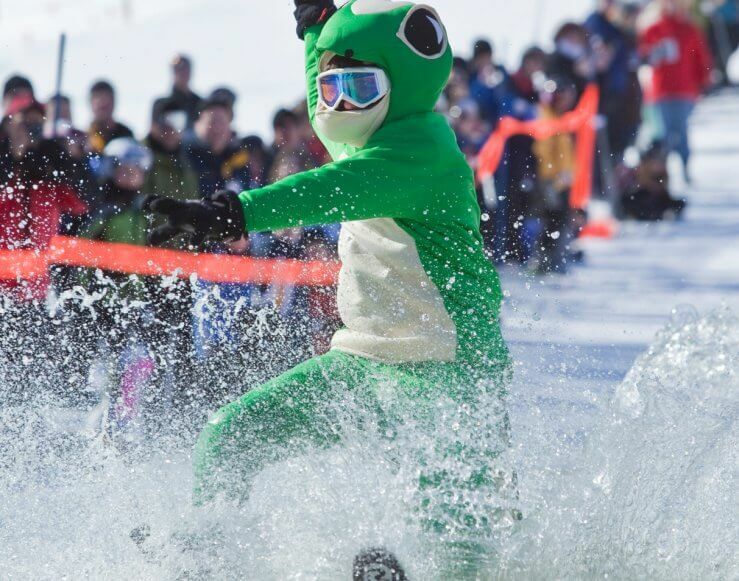 Other events include a frozen fish toss, snow shovel racing and a seal slide—all part of the traditional wild and crazy weekend. The Slush Cup is limited to 80 people, so register early! 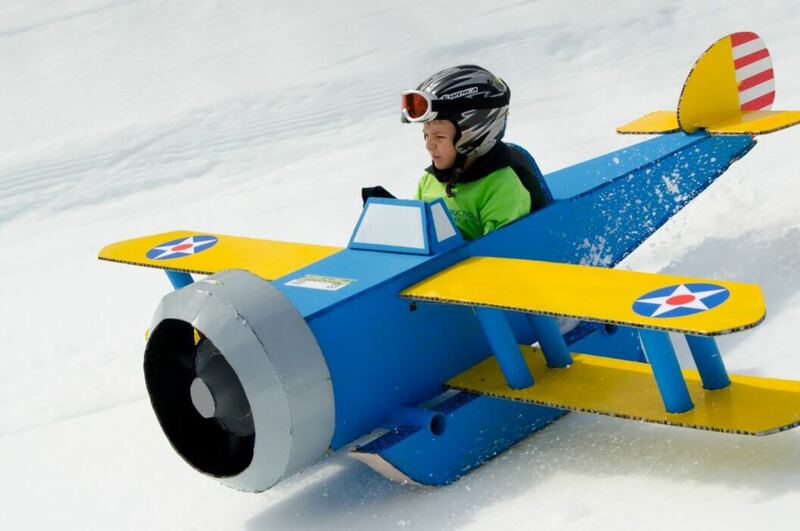 The annual race down Schuss Mountain in a sled you make yourself—from cardboard, tape, and glue only!